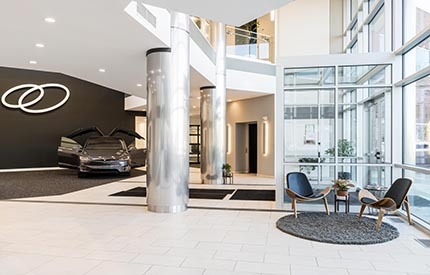 Billerica, MA ClearMotion Inc., a global automotive technology company, has relocated their new corporate headquarters to accommodate a growing product portfolio and demand from their customer base. The company leased their 120,000 s/f facility with the assistance of Cushman & Wakefield. 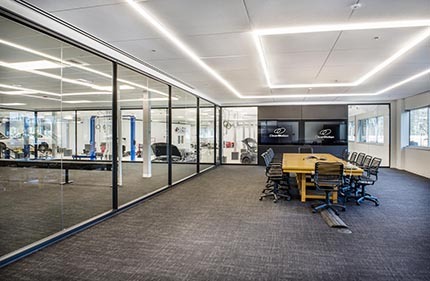 Construction manager, Timberline Construction Corp., Boston-based architecture firm, studio TROIKA, and engineer, NV5 partnered together to fully renovate and transform the space into a modern office and research and development facility. “Moving to this beautiful, modern and spacious facility reflects our ambitions to scale our vision and transform the quality of time in motion,” said Shakeel Avadhany, CEO and co-founder. ClearMotion’s proactive ride system mitigates road roughness in real time, doing for motion what noise-cancelling does for noise. Through a software and hardware solution, the technology senses uneven road surfaces and enables the vehicle to react, giving occupants unmatched levels of handling, stability, comfort and safety. ClearMotion’s headquarters relocation project was managed in phases by Timberline. It involved a two-story renovation of open concept office space, huddle rooms, conference areas, modern research and development laboratories, a lobby and cafeteria. 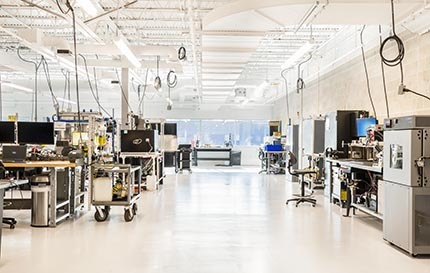 The facility has six major laboratories to enhance ClearMotion’s advanced industry technology in road-sensing software. 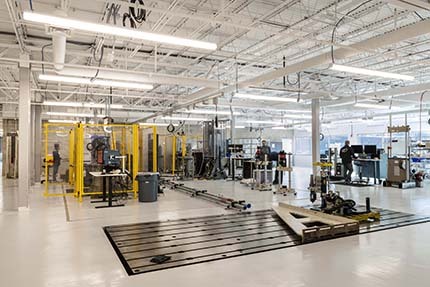 Timberline constructed a vehicle laboratory, prototype machine shop, dynamometer laboratory, design laboratory, electrical laboratory and materials laboratory. Timberline is a local builder who is passionate about building for our community. 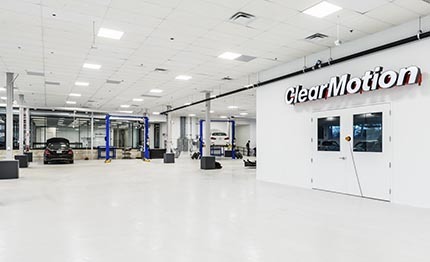 We are appreciative to have a new and impactful relationship with ClearMotion and our project partners and grateful to have been a part of such a ground-breaking project. Project team includes: Industrial Concrete Services, Century Glass Company, N|V|5, W.T. Kenney Company, Form-Up Foundations, Reilly Electrical Contractors, Inc. and Studio TROIKA.